Contains commonly used agent data. Definition at line 37 of file llagentdata.cpp. Referenced by LLSelectMgr::addAsFamily(), LLPanelLandObjects::callbackReturnOwnerObjects(), LLAvatarTracker::findAgent(), LLAgent::getID(), LLFloaterAvatarInfo::getInstance(), handle_grab_texture(), idle_startup(), LLVOAvatar::LLVOAvatar(), LLViewerTextEditor::openEmbeddedSound(), LLAgentGroupDataUpdateViewerNode::post(), LLViewerChatterBoxInvitation::post(), print_agent_nvpairs(), process_improved_im(), process_kill_object(), process_mean_collision_alert_message(), LLAgent::processAgentDataUpdate(), LLAgent::processAgentDropGroup(), LLAgent::processAgentGroupDataUpdate(), LLPanelFriends::requestFriendshipDialog(), LLFloaterAvatarInfo::resetGroupList(), send_agent_pause(), send_agent_resume(), LLAgent::sendAnimationRequest(), LLAgent::sendAnimationRequests(), LLAgent::setGroupContribution(), LLSelectMgr::setHoverObject(), LLAgent::setStartPosition(), LLAgent::setUserGroupFlags(), LLFloaterAvatarInfo::showProfileCallback(), LLFloaterReporter::takeScreenshot(), LLSelectMgr::updateSelectionCenter(), and upload_new_resource(). Definition at line 38 of file llagentdata.cpp. 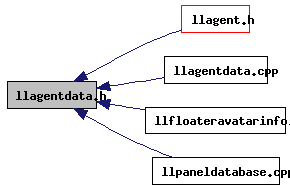 Referenced by LLAgent::getSessionID(), idle_startup(), send_agent_pause(), send_agent_resume(), send_stats(), LLAgent::setGroupContribution(), and LLAgent::setUserGroupFlags().